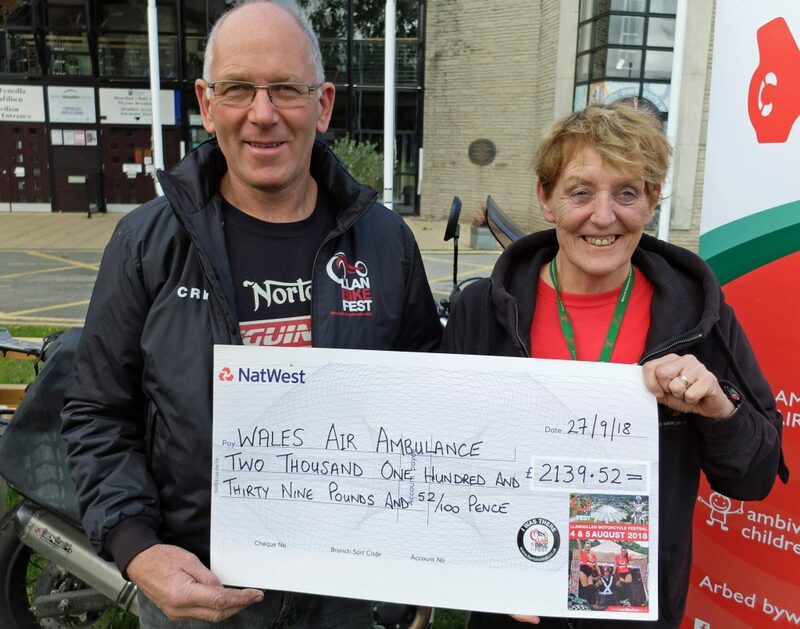 Generous LlanBikeFest supporters have raised a total of £4,731.38 for Wales Air Ambulance since the festival started in 2015. 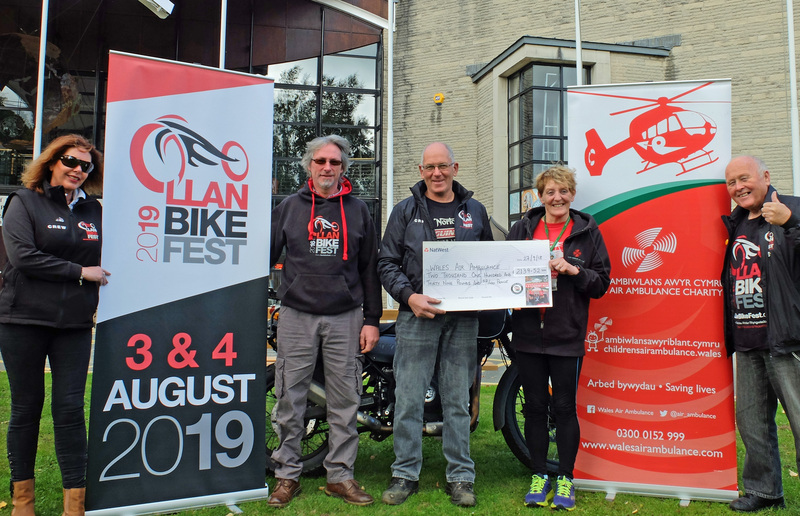 Donations over the last four years were boosted by a massive £2,139.52 at LlanBikeFest 2018, with money pouring in from our official raffle, the helmet creche, collections, personal donations and sales of water. Special thanks are due to festival staff Katie, Lisa and Natalie, who donated wages to the cause. And the Llangollen Aldi store deserve a mention for letting us have hundreds of bottles of water on sale or return, with all profits adding to the total. Pictured: Alyson Winn (second from right) with LlanBikeFest team members Deb Rogers, Peter Rogers, Brad Jones and Jimmy Aspinall.